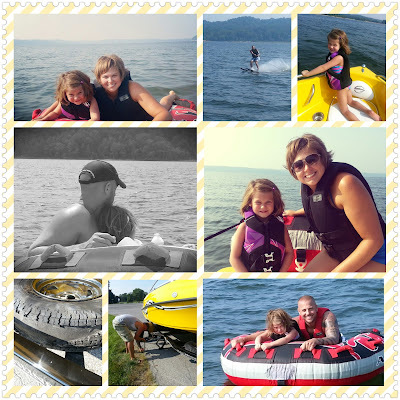 We had a great time at the lake on Saturday! Spent some time playing in the water, relaxing with friends, and enjoying the time away. I love going to the lake, it's like a mini-vacation! It was so hot, we ended up blowing a tire on the way home :-/ But Chad managed to change it quickly and we were back on our way in no time!